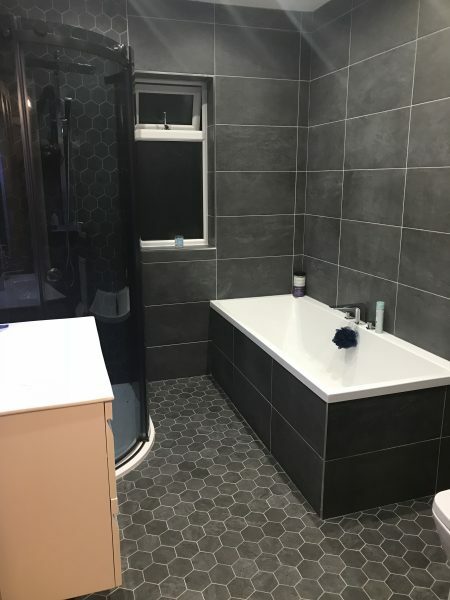 This is a recent Bathroom install we have completed in Stoke-on-Trent. 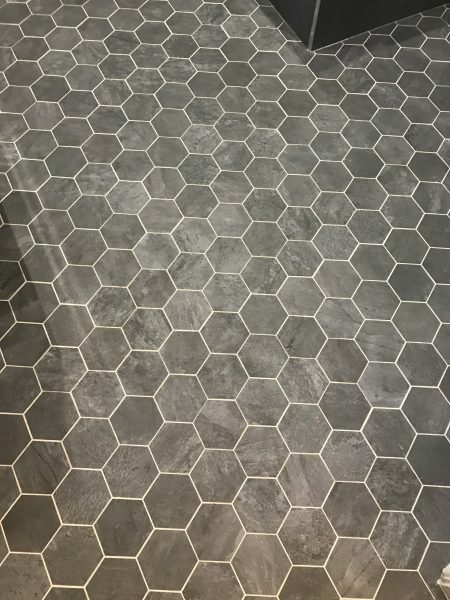 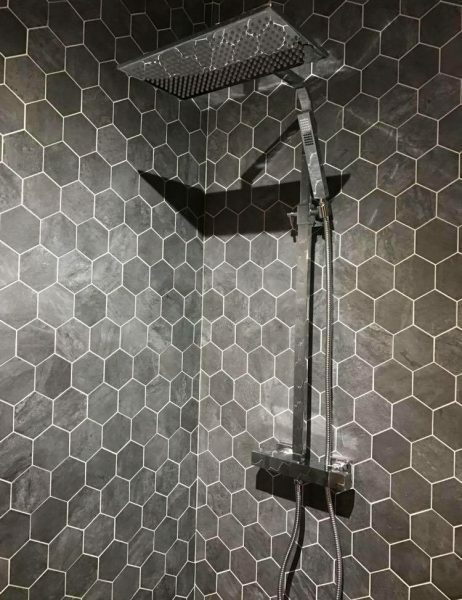 As you can see from the pictures below, its a very modern room using hexagon tiles for the shower area and floor, matching anthracite 30×60 porcelain tiles for the remainder of the room and bath panel. 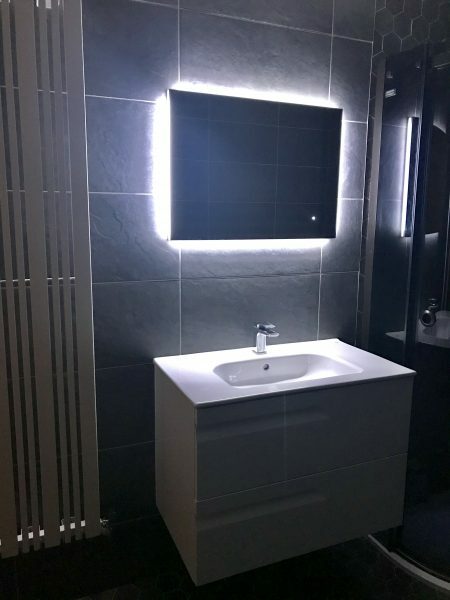 Completed with a smoked glass quadrant enclosure, Palermo thermostatic shower, Lumiere LED mirror, RAK toilet, Vitale white gloss wall hung sink unit and designer radiator looks simply stunning.